Debugging is a hidden feature in WordPress. It allows you to see errors that WordPress has generated, which can help identify or resolve problems. Note that the problems generated aren't always urgent or nessessary to fix, which is why the feature is hidden and disabled by default. However if you are worried, it's worth either updating the plugin or theme mentioned (click here for a guide). 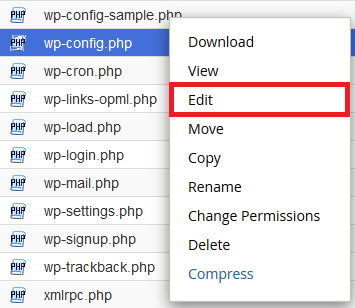 Step 1 - Log in to cPanel and use the File Manager tool (click here for a guide) to find the wp-config.php file (it's normally located in the public_html folder). If you prefer using FTP, you can do this too.